My undergraduate and PhD degrees were at Otago University. I worked at Otago for two years and for three years at Auckland University as a postdoctoral fellow. In 1999 I was appointed as a lecturer at Massey University's Albany campus. I then moved to Auckland University in 2003. I worked there until taking up the position at The University of Newcastle in 2012. I have taught a wide range of mathematics courses, but I specialise in teaching differential equations. I have an extensive knowledge of this field from both my research (which is connected with the use of differential equations to model wave phenomena) and from the courses I have taught. I like to combine modelling, analytic and numerical solutions in my teaching so that students see the way in which all three are connected. I am a deputy director of CARMA. I am collaborating with Prof David Abrahams at the University of Cambridge, Luke Bennetts at the University of Adelaide, Alessandro Toffoli at Melbourne University and others. © 2018 Elsevier Inc. We outline a method to compute the solution in the frequency¿domain for scattering in a waveguide by exploiting symmetry. The method is illustrated by considering a simple scattering example, where soft hard boundary conditions are alternated. We show how the straightforward mode matching or eigenfunction matching solution can be easily converted to scattering and transmission matrices when symmetry is exploited. We then show how the solution for two scatterers can be found explicitly, using symmetry which allows validation of our subsequent solution by scattering matrices. We also give a series of identities which the scattering matrix must satisfy for further numerical validation. Using these frequency¿domain solutions we compute the time-domain scattering by incident Gaussian wave¿packets. © 2018 Elsevier Ltd The frequency-domain and time-domain response of a floating ice shelf to wave forcing are calculated using the finite element method. The boundary conditions at the front of the ice shelf, coupling it to the surrounding fluid, are written as a special non-local linear operator with forcing. 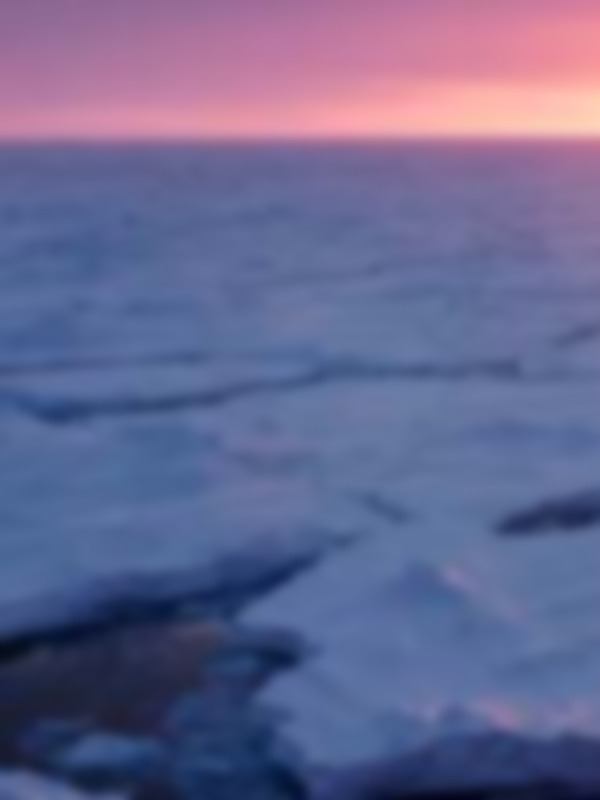 This operator allows the computational domain to be restricted to the water cavity beneath the ice shelf. The ice shelf motion is expanded using the in vacuo elastic modes and the method of added mass and damping, commonly used in the hydroelasticity of ships, is employed. The ice shelf is assumed to be of constant thickness while the fluid domain is allowed to vary. The analysis is extended from the frequency domain to the time domain, and the resonant behaviour of the system is studied. It is shown that shelf submergence affects the resonant vibration frequency, whereas the corresponding mode shapes are insensitive to the submergence in constant depth. Further, the modes are shown to have a property of increasing node number with increasing frequency. © 2017 by The Oceanography Society. All rights reserved. The Marginal Ice Zone and Arctic Sea State programs examined the processes that govern evolution of the rapidly changing seasonal ice zone in the Beaufort Sea. Autonomous platforms operating from the ice and within the water column collected measurements across the atmosphere-ice-ocean system and provided the persistence to sample continuously through the springtime retreat and autumn advance of sea ice. Autonomous platforms also allowed operational modalities that reduced the field programs¿ logistical requirements. Observations indicate that thermodynamics, especially the radiative balances of the ice-albedo feedback, govern the seasonal cycle of sea ice, with the role of surface waves confined to specific events. Continuous sampling from winter into autumn also reveals the imprint of winter ice conditions and fracturing on summertime floe size distribution. These programs demonstrate effective use of integrated systems of autonomous platforms for persistent, multiscale Arctic observing. Networks of autonomous systems are well suited to capturing the vast scales of variability inherent in the Arctic system. Copyright © 2015 John Wiley & Sons, Ltd. We present solutions to both trifurcated and pentafurcated spaced waveguides using the mode matching (or eigenfunction expansion) method. While the trifurcated problem with mean fluid flow has been solved previously using the Wiener¿Hopf technique, we solve this problem to validate and demonstrate our method. We then show how we can easily generalize the method to the pentafurcated problem that has not been solved previously. We observe that mode matching method is easier to derive and generalize than the Wiener¿Hopf technique. We also investigate the numerical solution in detail for various geometries to model practical exhaust systems. Copyright © 2015 John Wiley & Sons, Ltd.
© 2015 Elsevier Ltd. The surge, heave and pitch motions of two solitary, thin, floating disks, extracted from laboratory wave basin experiments are presented. The motions are forced by regular incident waves, for a range of wave amplitudes and frequencies. One disk has a barrier attached to its edge to stop the incident waves from washing across its upper surface. It is shown that the motions of the disk without the barrier are smaller than those of the disk with the barrier. Moreover, it is shown that the amplitudes of the motions, relative to the incident amplitude, decrease with increasing incident wave amplitude for the disk without a barrier and for short incident wavelengths. Two theoretical models of the disk motions are considered. One is based on slope-sliding theory and the other on combined linear potential-flow and thin-plate theories. The models are shown to have almost the same form in the long-wavelength regime. The potential-flow/thin-plate model is shown to capture the experimentally measured disk motions with reasonable accuracy. © 2016 The Authors The sea state of the Beaufort and Chukchi seas is controlled by the wind forcing and the amount of ice-free water available to generate surface waves. Clear trends in the annual duration of the open water season and in the extent of the seasonal sea ice minimum suggest that the sea state should be increasing, independent of changes in the wind forcing. Wave model hindcasts from four selected years spanning recent conditions are consistent with this expectation. In particular, larger waves are more common in years with less summer sea ice and/or a longer open water season, and peak wave periods are generally longer. The increase in wave energy may affect both the coastal zones and the remaining summer ice pack, as well as delay the autumn ice-edge advance. However, trends in the amount of wave energy impinging on the ice-edge are inconclusive, and the associated processes, especially in the autumn period of new ice formation, have yet to be well-described by in situ observations. There is an implicit trend and evidence for increasing wave energy along the coast of northern Alaska, and this coastal signal is corroborated by satellite altimeter estimates of wave energy. © 2016 Wiley Publishing Ltd. The advent of pixelated detectors for time-of-flight neutron transmission experiments has raised significant interest in terms of the potential for tomographic reconstructions of triaxial strain distributions. A recent publication by Lionheart and Withers [WRB Lionheart and PJ Withers, "Diffraction tomography of strain", Inverse Problems, v31:045005, 2015] has demonstrated that reconstruction is not possible in the general sense; however, various special cases may exist. In this paper, we outline a process by which it is possible to tomographically reconstruct average triaxial elastic strains within individual particles in a granular assembly from a series of Bragg edge strain measurements. This algorithm is tested on simulated data in two and three dimensions and is shown to be capable of rejecting Gaussian measurement noise. Sources of systematic error that may present problems in an experimental implementation are briefly discussed. © 2016 An approach for tomographic reconstruction of three-dimensional strain distributions from Bragg-edge neutron transmission strain images is outlined and investigated. This algorithm is based on the link between Bragg-edge strain measurements and the Longitudinal Ray Transform, which has been shown to be sensitive only to boundary displacement. By exploiting this observation we provide a method for reconstructing boundary displacement from sets of Bragg-edge strain images. In the case where these displacements are strictly the result of externally applied tractions, corresponding internal strain fields can then be found through traditional linear-static finite element methods. This approach is tested on synthetic data in two-dimensions, where the rate of convergence in the presence of measurement noise and beam attenuation is examined. © 2015 Elsevier Ltd. An experimental model of transmission of ocean waves by an ice floe is presented. Thin plastic plates with different material properties and thicknesses are used to model the floe. Regular incident waves with different periods and steepnesses are used, ranging from gently-sloping to storm-like conditions. A wave gauge is used to measure the water surface elevation in the lee of the floe. The depth of wave overwash on the floe is measured by a gauge in the centre of the floe&apos;s upper surface. Results show transmitted waves are regular for gently-sloping incident waves but irregular for storm-like incident waves. The proportion of the incident wave transmitted is shown to decrease as incident wave steepness increases, and to be at its minimum for an incident wavelength equal to the floe length. Further, a trend is noted for transmission to decrease as the mean wave height in the overwash region increases. © 2015 AIP Publishing LLC. An experimental model is used to validate a theoretical model of a sea ice floe&apos;s flexural motion, induced by ocean waves. A thin plastic plate models the ice floe in the experiments. Rigid and compliant plastics and two different thicknesses are tested. Regular incident waves are used, with wavelengths less than, equal to, and greater than the floe length, and steepnesses ranging from gently sloping to storm-like. Results show the models agree well, despite the overwash phenomenon occurring in the experiments, which the theoretical model neglects. A theoretical model and an experimental model of surge motions of an ice floe due to regular waves are presented. The theoretical model is a modified version of Morrison&apos;s equation, valid for small floating bodies. The experimental model is implemented in a wave basin at a scale 1:100, using a thin plastic disc to model the floe. The processed experimental data display a regime change in surge amplitude when the incident wavelength is approximately twice the floe diameter. It is shown that the theoretical model is accurate in the high-wavelength regime, but highly inaccurate in the lowwavelength regime. Wave attenuation coefficients (a, m<sup>-1</sup>) were calculated from in situ data transmitted by custom wave buoys deployed into the advancing pancake ice region of the Weddell Sea. Data cover a 12day period as the buoy array was first compressed and then dilated under the influence of a passing low-pressure system. Attenuation was found to vary over more than 2 orders of magnitude and to be far higher than that observed in broken-floe marginal ice zones. A clear linear relation between a and ice thickness was demonstrated, using ice thickness from a novel dynamic/thermodynamic model. A simple expression for a in terms of wave period and ice thickness was derived, for application in research and operational models. The variation of a was further investigated with a two-layer viscous model, and a linear relation was found between eddy viscosity in the sub-ice boundary layer and ice thickness. © 2014 Society for Industrial and Applied Mathematics The density of states, which measures the density of the spectrum, is evaluated for a platonic crystal (periodically structured elastic plate) using the Green&apos;s function approach. Results are presented not only for the standard density of states, but also for the mutual, local, and spectral density of states. These other state functions provide a pathway to the standard density of states and characterize the radiative and other properties of the crystal. This is the first known examination of the density of states for a platonic crystal and extends the existing Green&apos;s function approach for photonic crystals to thin, elastic plates. As a motivating example the theory is applied to the problem of a square array of pins embedded in a thin plate. The density of states functions for an empty lattice (a uniform plate) are also presented in order to give a clear illustration of the steps in the derivation. Careful numerical calculations are given which reveal the complex behavior of the crystal, including intervals of suppressed density of states. These results are compared to calculations for a finite crystal with an interior source, and the behaviors of the finite and infinite systems are shown to be connected through the density of states. In this paper, we compute the band structure for a pinned elastic plate which is constrained at the points of a hexagonal lattice. Existing work on platonic crystals has been restricted to square and rectangular array geometries, and an examination of other Bravais lattice geometries for platonic crystals has yet to be made. Such hexagonal arrays have been shown to support Dirac cone dispersion at the center of the Brillouin zone for phononic crystals, and we demonstrate the existence of double Dirac cones for the first time in platonic crystals here. In the vicinity of these Dirac points, there are several complex dispersion phenomena, including a multiple interference phenomenon between families of waves which correspond to free space transport and those which interact with the pins. An examination of the reflectance and transmittance for large finite gratings arranged in a hexagonal fashion is also made, where these effects can be visualized using plane waves. This is achieved via a recurrence relation approach for the reflection and transmission matrices, which is computationally stable compared to transfer matrix approaches.© 2013 Taylor and Francis. We present a higher-order method to calculate the motion of a floating, shallow draft, elastic plate of arbitrary geometry subject to linear wave forcing at a single frequency. The solution is found by coupling the boundary element and finite element methods. We use the same nodes, basis functions, and maintain the same order in both methods. Two equations are derived that relate the displacement of the plate and the velocity potential under the plate. The first equation is derived from the elastic plate equation. The discrete version of this equation is very similar to the standard finite element method elastic plate equation except that the potential of the water is included in a consistent manner. The second equation is based on the boundary integral equation which relates the displacement of the plate and the potential using the free-surface Green function. The discrete version of this equation, which is consistent with the order of the basis functions, includes a Green matrix that is analogous to the mass and stiffness matrices of the classical finite element method for an elastic plate. The two equations are solved simultaneously to give the potential and displacement. Results are presented showing that the method agrees with previous results and its performance is analysed. © 2004 Elsevier Ltd. All rights reserved. A fully three-dimensional model for the motion and bending of a solitary ice floe due to wave forcing is presented. This allows the scattering and wave-induced force for a realistic ice floe to be calculated. These are required to model wave scattering and wave-induced ice drift in the marginal ice zone. The ice floe is modeled as a thin plate, and its motion is expanded in the thin plate modes of vibration. The modes are substituted into the integral equation for the water. This gives a linear system of equations for the coefficients used to expand the ice floe motion. Solutions are presented for the ice floe displacement, the scattered energy, and the time-averaged force for a range of ice floe geometries and wave periods. It is found that ice floe stiffness is the most important factor in determining ice floe motion, scattering, and force. However, above a critical value of stiffness the floe geometry also influences the scattering and force. The solution to the problem of a thick flexible raft subjected to a train of incoming ocean surface waves is presented. It is found that the inclusion of transverse shear and rotary inertia has significant effects on the reflection and transmission coefficients of the body when its length-to-thickness aspect ratio is small and, predictably, that at higher aspect ratios a thin plate analysis is perfectly adequate. A major contrast between the thin and thick plate models is that the asymptotic limit of the raft response in the case of infinite stiffness is different; this leads to altered behaviour when the aspect ratio is small. © 2017 National Committee on Applied Mechanics. All Rights Reserved. Time-of-flight neutron imaging has now progressed to the point where high-resolution energy-resolved imaging is possible. Among many other applications, this technology allows the imaging of elastic strain fields within polycrystalline solids using a geometry identical to a traditional radiograph. 3D strain tomography from measurements such as these has been a current topic of research over the past decade. The Authors recently solved this tomography problem and provided a reconstruction algorithm for the set of all systems subject to external loads in the absence of residual or eigenstrain. In this paper we provide an overview of a recent experiment carried out at the J-PARC pulsed neutron source in Japan focused on demonstrating this algorithm. This now represents the first-ever practical demonstration of Bragg-edge neutron transmission strain tomography in a non-axisymmetric system. The results of the experiment are presented along with validation of the reconstructed field through Digital Image Correlation and traditional constant wavelength neutron strain scanning within the Australian Centre for Neutron Scattering at ANSTO. An outlook on potential strategies for reconstruction in the general case is also provided. Each ice floe within a marginal ice zone reflects a proportion of incoming ocean wave energy and allows the balance to pass further into the ice cover. Thus the synthesis of the transmission characteristics of the discrete floes making up the ice field determines the wave energy at any point within its interior. A new model to represent the wave-forced motion and flexure of a single elastic ice floe of constant thickness is reported. The model predicts that resonance, i.e., perfect transmission, occurs when the ratio of the ice wavelength to the floe diameter assumes certain values. this is observed; it is analogous to the propagation of electromagnetic radiation through an homogenous slab. Features in the reflection and transmission coefficients, and strain fields are discussed. 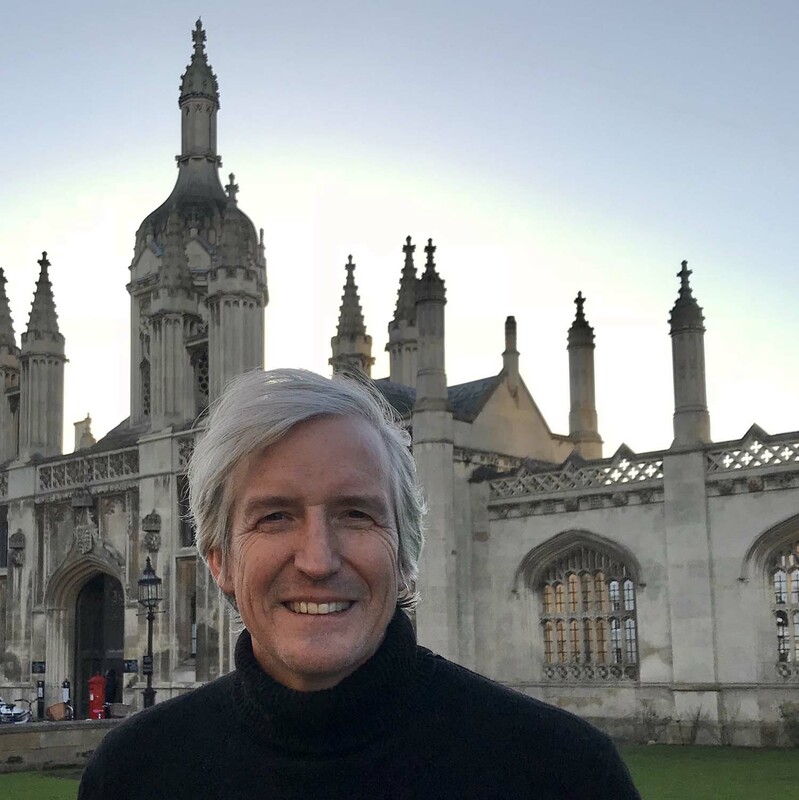 University of Newcastle mathematician, Dr Mike Meylan, will undertake a prestigious Clare Hall Visiting Fellowship at the University of Cambridge this year.